Quick, what is the first things that come to mind when you think of Spain? Is it eating tapas? Taking a siesta? Maybe it’s Gaudi’s architecture, sangria, football, flamenco, or late night clubbing in Ibiza? 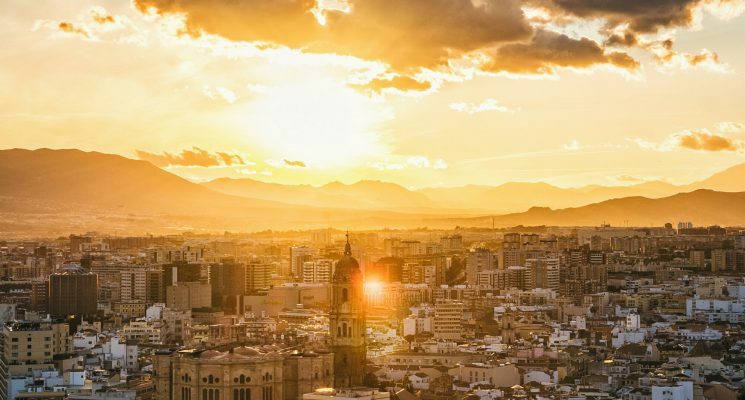 If so, that’s not surprising, as Spain is world-renowned for all that, and more. However there is a lot more to España than marvelous works of architecture, beautiful beaches, quaint Pueblos Blancos, ice cold adult beverages, and small portions of delicious food. We have spent months exploring Spain over the last few years, immersing ourselves in its history, culture, and countryside. 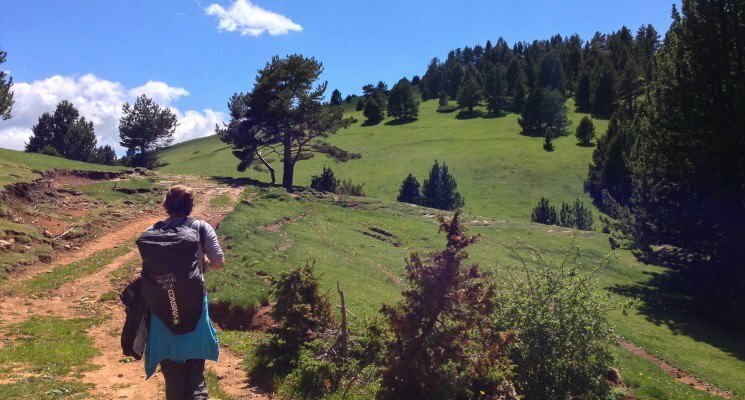 It took us awhile to realize that Spain was actually a great hiking destination. Maybe it was all the sangria we drank, or the siestas we took, but Spain always made us feel a little bit lazy. As it turns out Spain is full of amazing hiking opportunities. Our 5 days on the trail in Catalonia goes down as one of our favorite travel experiences of the last few years. 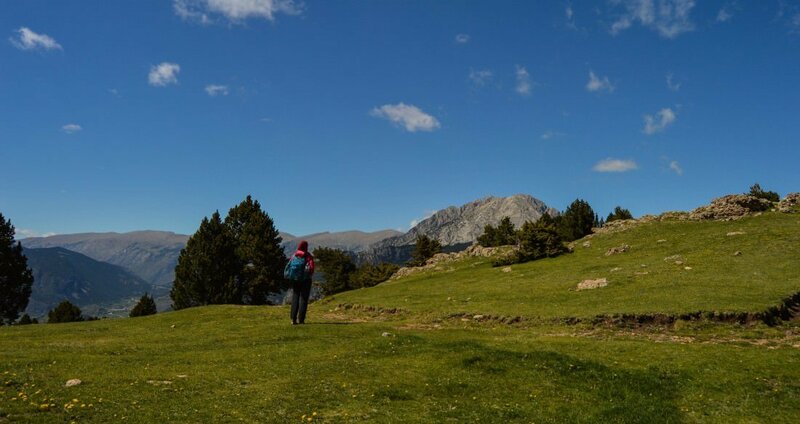 We were incredibly impressed with our jaunt through the foothills, valleys, and small villages of Pyrenees mountains and wondered how many other great hiking opportunities there might be in Spain. So we to ask some of our knowledgeable travel blogging friends about hiking in Spain, and what their favorite hikes in Spain were. Ok, truth be told you probably DO know about this hike. 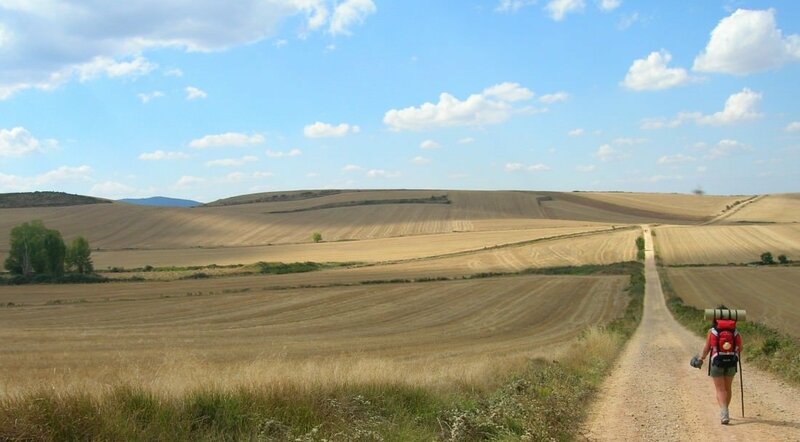 The Camino de Santiago is the most famous of all the great hikes in Spain, one of the most famous hikes in the world, as well as one of the great pilgrimages of the Christian tradition. It can start from various cities in Europe, and it ends at the shrine of the apostle St. James, in Santiago de Compostela. The Camino walk is considered a true journey of self-discovery: a place to let go of the past, find forgiveness, and make friends for life. Many people see the pilgrimage as a metaphor of the alchemy process used to transform base metal into gold. First, you add metals, or become aware of your issues. Then you have the time and isolation to deal with those issues, which corresponds to melting down the metals. Finally, you reach your destination and become a new being: the transformation into gold is completed. Last year, we decided to walk the French Way, the most popular paths of the Camino. It starts from St. Jean Pied de Port, in the French Pyrenees, and unravels for little under 800km through the north of Spain. The whole Camino walk usually takes between 30 and 35 days, so we guarantee it’s both a spiritual experience and a physical challenge! Piece of advice: remember to stretch. Check out our video for more tips on preparing to hike the Camino! The Cami dels Bons Homes, or the Path of the Good Men, traces the routes used by the Cathars as they fled persecution from the Inquisition in the 13th century. The trail begins in Southern France and traverses its way through the Pyrenees Mountains, ending in Berga, Catalonia. The Spanish side of the hike takes about 5 days to complete, and is not recommended for novices, although certain stages of the trail CAN be walked by the most casual of hikers. The trail is a cornucopia of beautiful views, idyllic meadows, mysterious forests, ancient ruins, and stunning valleys. Every day and every stage of this epic trek is packed with all the things that make hiking so darn enjoyable. If tackled before or after high season, in the months of May or September, chances are you will have the trail mostly to yourself. In fact we saw more deer while on the trail itself than we did other hikers. 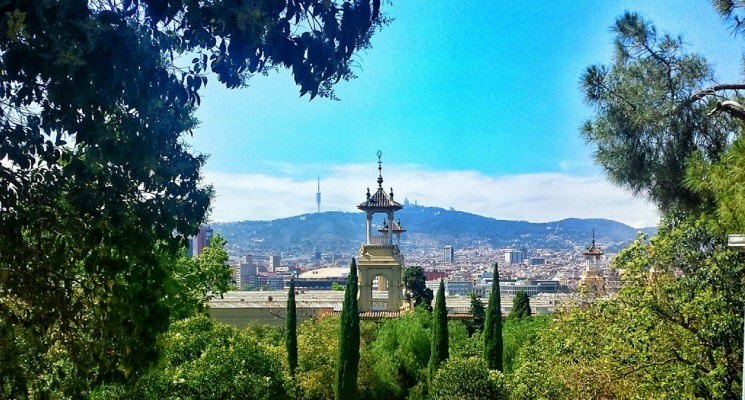 Check out out are guide for a complete break down of the Cami dels Bons Homes, from logistics to our day by day impressions. 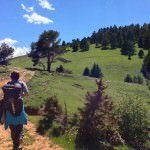 Find out why this is one of the best trails to trek for anyone looking to find great, and moderately challenging, hiking in Spain! My absolute favorite activity in Spain was hiking on the cliffs above the Mediterranean Sea in Costa Brava. 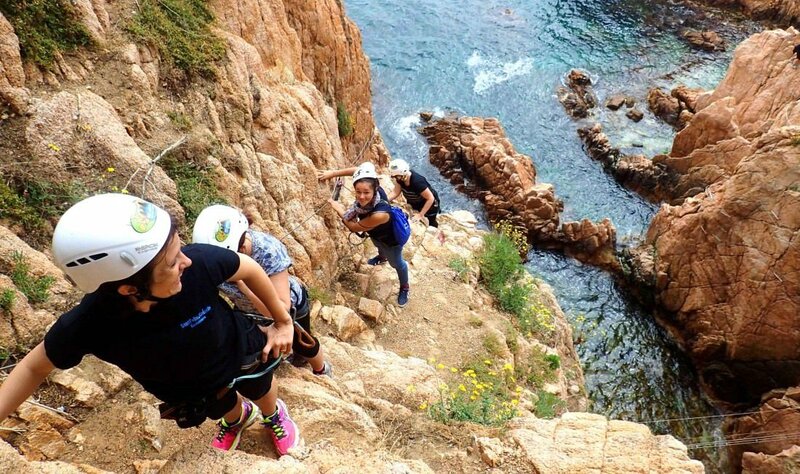 The Via Ferrada de la Cala del Moli in Sant Feliu de Guixols is less a hike than a rock climb. A via ferrata (Italian for “iron path”) – or via ferrada in Catalan – is a protected climbing route with safety cables that allow novice climbers to traverse cliffs or mountains in relative safety. Developed by local guide and outdoor activist Albert Girones, this path takes you around several points jutting out into the Mediterranean, across a wooden plank bridge over the clear water, and across another two cable bridges over the water. In spring, you might pass very close to seagull nests. And the mama seagulls will not be very happy with you clutching the rock next to their babies. It could be a little challenging for beginners, with a few overhangs that rely heavily on upper-body strength, but overall it is a gorgeous outing. Experienced climbers should be able to do it in about 2 hours. If it’s too much, there is an escape route about halfway through. 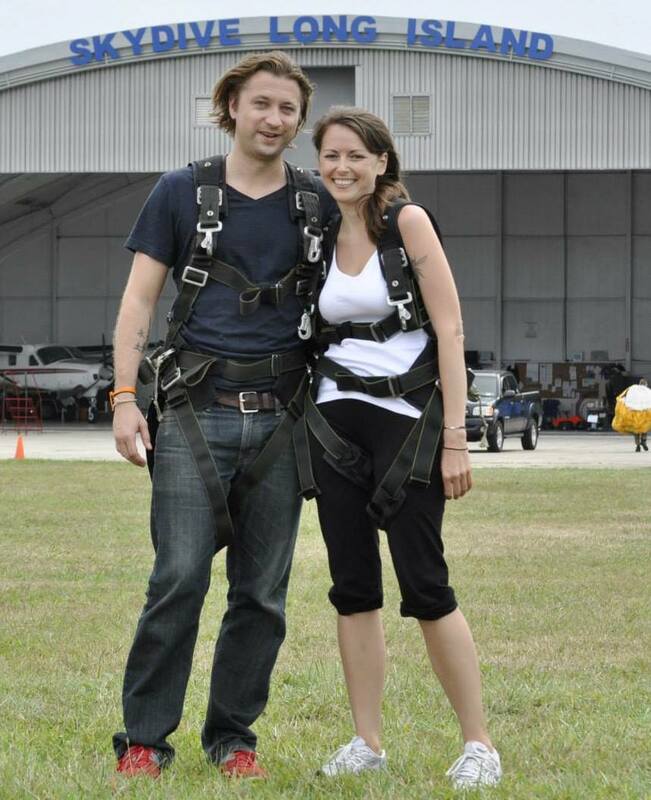 You’ll need a climbing harness to clip into the safety line. And don’t make the same mistake I did in wearing big, cushioned running shoes for this one. You’ll want climbing shoes or fairly thin-soled athletic shoes so that you can feel the rock or the man-made foothold under your foot. A helmet and gloves are recommended, as the rock is rough and can tumble from above, and the hand-holds can be slippery. The path is free and open to the public, but you do need the equipment, which can be rented from Parc Aventura in Sant Feliu de Guixols. If you would prefer to have a guide for the trip, you can also book one through Parc Aventura. For more on this hike check out All Over the Map’s article here. The Picos de Europa (‘peaks of Europe’) form part of the Cantabrian Mountains, and are located 20 kilometres inland from the northern coast of Spain. I completed a 6-day hike through the stunning Picos de Europa with adventure tour company, Explore. What I loved most of all about the experience was the enormous diversity of the landscapes through which we passed. There were the stark, barren panoramas of Torres de los Horcados Rojos in contrast to the lush valleys and traditional, rural, agricultural Spanish villages, such as Sotres and Espinama. 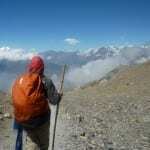 Challenging trekking days were also interspersed with more gentle hikes, in order to give our legs a chance to recover. I would advise that a moderate level of fitness is required in order to complete (and enjoy) the hike. While the altitude is not really a problem (the highest peak is Torre de Cerredo at 2650 meters above sea level), days three and six are tough, with long stretches of uphill climbs. Remember to pack plenty of layers, as the weather here is very changeable. On the first day we were hiking in temperatures in excess of 30 degrees Celsius through landscapes that were almost totally devoid of vegetation, and therefore offered us no respite from the heat of the sun’s rays. Conversely on the second day, the hot sun disappeared, thick clouds rolled in and temperatures plummeted, all in the space of a few minutes. If you’re interested in finding out more information about the ‘On Foot in the Picos de Europa’ trek or having a look at the route map (although the itinerary has changed slightly since I completed the trek), you can view it on the Explore website. For a complete write up on this hike check out Gallop Around the Globe’s site here. Cap de Creus peninsula and natural park lies in northeastern Catalunya, approximately 25 kilometers from France. 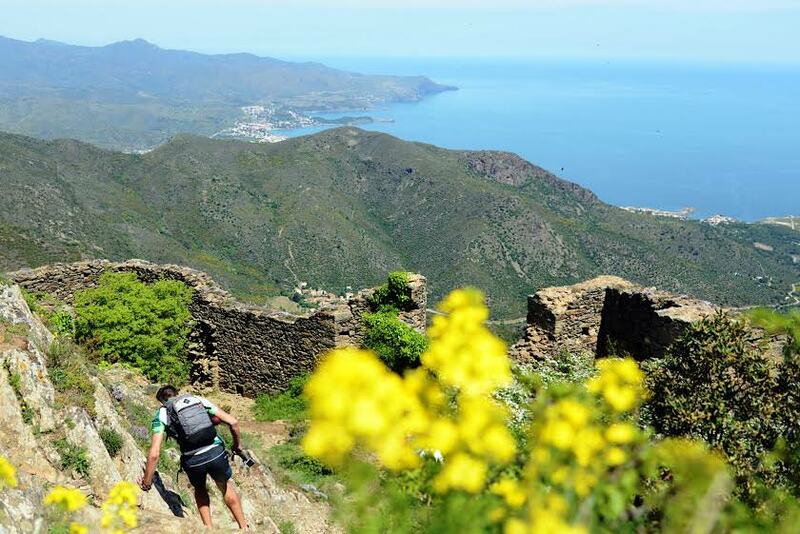 For the best views of the gorgeous Cap de Creus one should climb to the remains of the Sant Salvador de Verdera fortress, which was built on the top of the hill above Sant Pere de Rodes, a former Benedictine monastery. Sant Pere de Rodes stands 500 meters above sea level and you can reach it by car or bus, and there are many walking paths that lead to up to the monastery. However, to reach the the ancient fortress you’ll have to walk for about half an hour uphill among rocky terrain and rugged Mediterranean flora. This is a rather short hike but it should be on every nature lover’s To-do List when in Spain. The 360 degree panoramic views that stretch out before you encompass the snowy peaks of the Pyrenees mountains and flow to the endless aquamarine blue colors of Mediterranean sea. Every step you take reveals a new view of gorgeous coast that was, according to legend, created by Hercules himself. 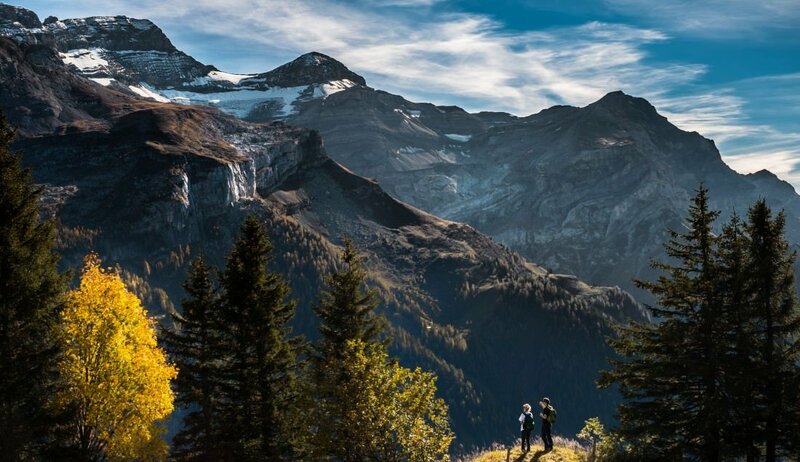 True or not, the views are heavenly and the walk is divine making this one of the great mini hikes in Spain. Why not find your own piece of heaven while visiting Costa Brava? For more by Adventurous Journeys go here! 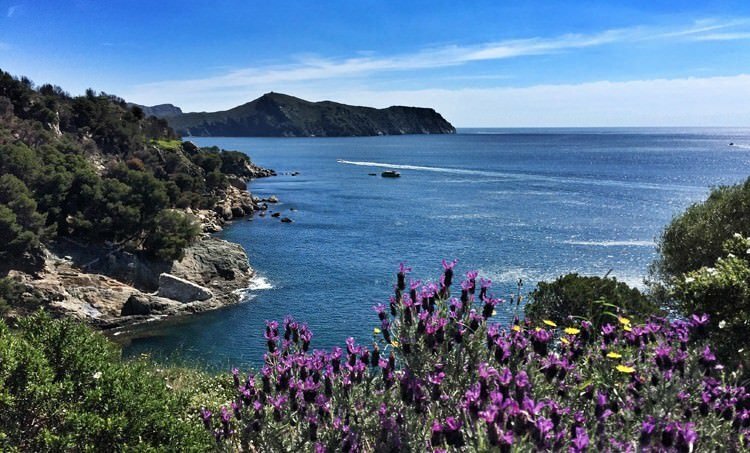 Spain’s Costa Brava has spectacular view after spectacular view and one of the best ways to take them in is while communing with nature on one of the many coastal hikes you can do in the region. The Costa Brava is just north of Barcelona and stretches all the way to the border with France where the Pyrenees mountains meet the Mediterranean Sea. If you’re really ambitious, you could technically hike all the way to France. For a day hike, I recommend the route between Roses and Montjoi called the De l’Almadrava a Cala Montjoi. The hike takes around three hours and you’ll be rewarded with stunning views of the ombre colored sea around every bend. There are several beaches along the hike, so bring a towel and take a dip to cool off along the way. For more by Luxe Adventure Traveler go here! 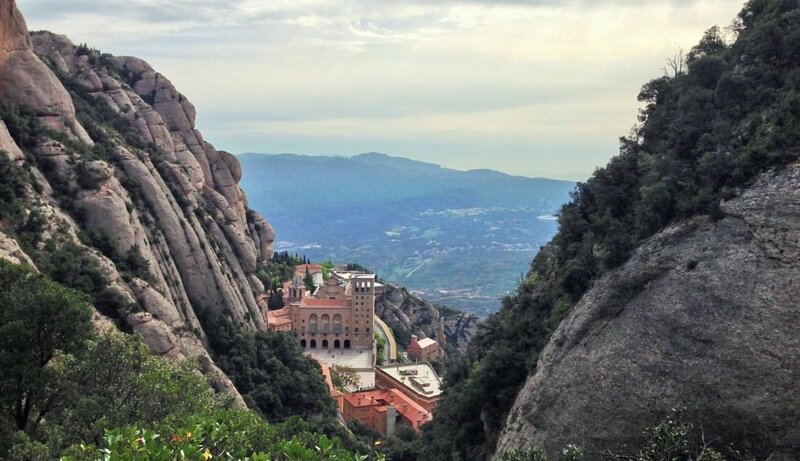 Montserrat, which literally means serrated mountain, is located just a little over an hour from Barcelona. In addition to stunning scenery, the surrounding area is also an important site for the Catholic religion, is home to a famous Black Madonna statue, houses a Benedictine monastery named Santa Maria de Montserrat Abbey, and is a pilgrimage site for many. Surprisingly there is also a heart chakra center located in the courtyard outside of the Abbey. Hiking Montserrat is a special experience. Yes, it’s an ideal setting to reconnect with nature and yourself, fill your lungs with fresh air, see stunning scenery, glimpse wildlife (some of which can only be found there), and even exert yourself physically if that’s what you’re looking for. 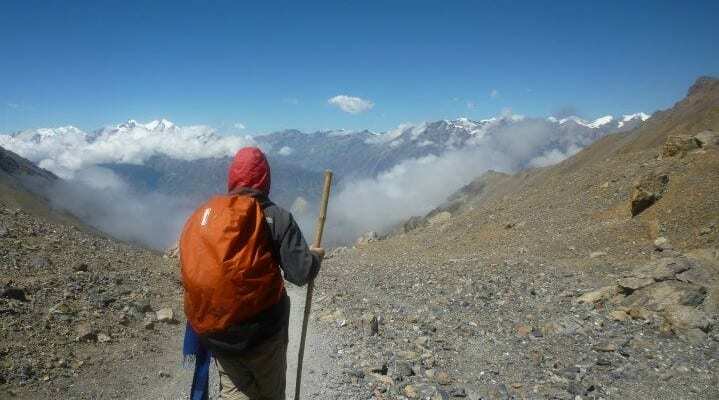 But what is different about hiking here is the constant energy radiating from the mountain range itself that leaves you with a feeling of peace and power for days. There are a number of hiking options in the area. The one I experienced started with a 6:00 am departure from the courtyard in search of a sunrise on the hilltop named St. Michael’s Cross which afforded panoramic views of the surrounding area. During our five hour hike we ascended to over 1,000 meters above sea level while breathing pure mountain air, and passing through wooded terrain filled with goats, snakes, wild boars, and fragrant wildflowers, all with the warm Spanish sun as our constant companion. The descending trail, which includes over 850 steps, brought us through mostly covered wooded areas with cool, moist air and dim lighting with a few open and stunning views of the surrounding area before bringing us back to our starting point in front of the Abbey. 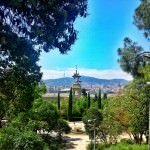 I’d recommend this hike to anyone visiting Barcelona who wants to escape the city for a day or two and experience an all encompassing energy that is nearly tangible. And of course anyone looking for a great hiking opportunity in Spain should NOT miss out. Read more about Randi’s hike around Montserrat here. And there you have it guys, some of the greatest hikes in Spain you might have not known about. As always, travel well, and we’ll see you on the road (or hiking path)! The Via Verdes in Andalusia are also great – once used as railway tracks, they’ve been redesigned into hiking trails. Madrid also has tons of great hikes not too far from the capital. Wow, the Via Verdes sounds really cool! Thanks for letting us know about it. All these hikes sound very strenuous. What are the options for someone who wants to enjoy the views without too much exertion? Are there short sections that can be taken on by novices? Hi Pragati, Day 1 and 5 of the Cami were both pretty easy. Additionally, the Montserrat hike wasn’t too bad and there are easier hikes in that area that can be done as well. The Cami dels Bons Homes sounds fantastic, I’m definitely putting that on my list of hikes to do! You’re making a damn good decision by doing so! Wonderful hike, and an amazing way to experience the beauty and culture of Catalonia. Great list of hiking spots! Thanks for sharing! I would love to do the De l’Almadrava a Cala Montjoi hike someday. My husband and I have done a few 5k’s but never wit a view like that 🙂 So beautiful. Thanks for all the suggestions and great pictures. I’m in the French Alps right now, heading for Nice then Montpellier. I need to know if there is or are trails following the coast from France to Malaga? Love this piece! I have been looking for more hikes in Spain. The last time I went I totally missed out. 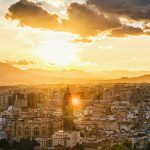 I also appreciate the inclusion of some hikes in Southern Spain in the comments. I would have included hikes aroundn the Sierra Nevada Natural Park and the Alpujarras in the province of Granada to this list. Some good looking walks there with plenty of variety. Got me tempted to head over to Spain to do some walking in the near future. Your right walking is not the first thing that comes to mind when you think of Spain. 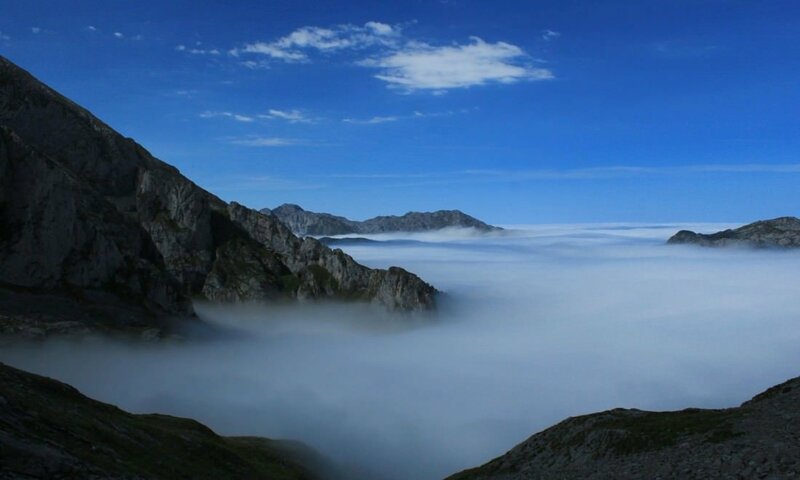 Thanks for a great post..
You should visit the Aragonese Pyrenees. As Duke says on his comment, the GR (with trails in Spain and France) is just too good for words. While in Madrid I climbed up Peñalara, Manzanares and Navacerrada. The hike through Madrid were also amazing with stunning scenery. There is also a beautiful short walk of 8km from Vilanova I la Geltrú to Sitges along the coast. Sitges is about 35km from Barcelona and there are direct trains. You can start the walk at either end. Enjoy! What a nice list of hikes! I’m heading off to hike in Spain soon, and I chose a two-week long part of the GR1 trail, Sendero Historico, which leads north-west to south-east, often with the Pyrenees in view. I hope my trip will be all good with recommendation for others to take it! All your walks are in Catalonia, but you are selling them under ‘walks in Spain’. There is a much better range of walks in Spain that what you are selling. One just have to move to neighbouring Aragon and take the walks in the pyrennees over there.